Have you heard of Lending Works? 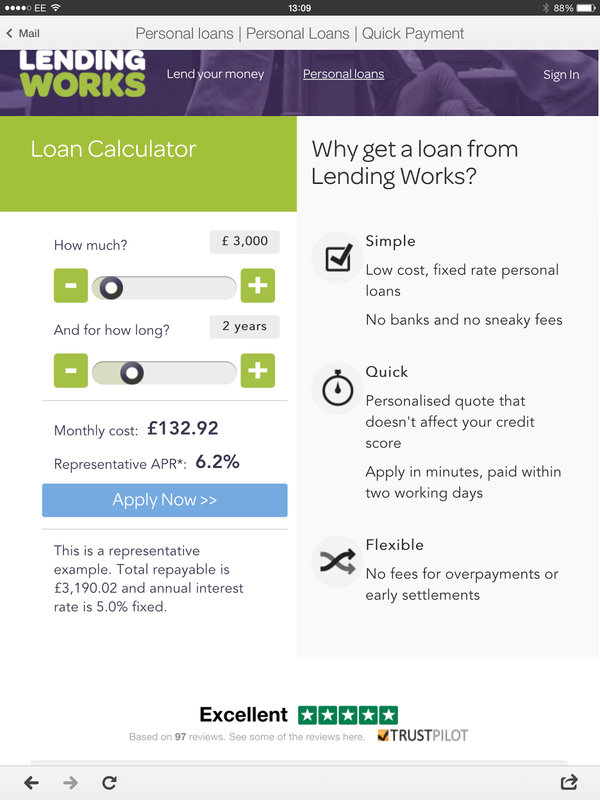 Well I hadn't until recently either, but they are one of the peer to peer lending sites which offers lenders the opportunity to loan money to creditworthy borrowers, who they have been matched too by the lending platform. Lenders receive a much better return than in savings accounts and borrowers can benefit from low cost loans. To become a lender you can deposit as little as £10 with no maximum amount and you can lend up to 5 years. Your details will remain anonymous to the borrower. Lenders are protected to a degree by the Lending Works Shield and insurance which gives some protection whilst reducing the risks involved in peer to peer lending, although they are not backed by the Financial Services Compensation Scheme. 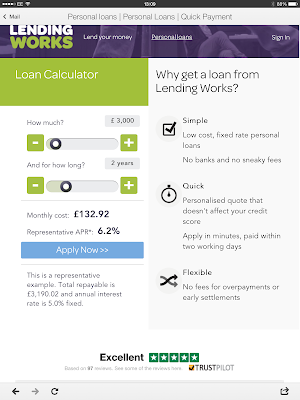 To borrow money there is a online application form which would be thoroughly reviewed by the credit underwriting team, who would make a decision within one working day as to the suitability of the loan, if the loan is approved the money should be in your account the following working day. Loans have a much better APR rate than lots of other lenders. I think peer to peer lending sounds a great idea compared to loan companies. My advice would be to consider carefully any financial lending or borrowing before committing yourself, after all you wouldn't want to stretch your finances. 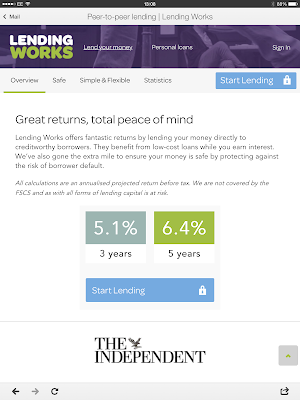 This post is written in collaboration with Lending Works.